Demonizing OXFAM – Fair or Foul? KATHMANDU, Nepal, Feb 22 2018 (IPS) - As a member of OXFAM GB’s Council of Trustees since 2014, I have received many queries about the recent scandal concerning sexual misconduct committed by some OXFAM staff in Haiti in 2011 and elsewhere. I appreciate the concerns expressed as well as many messages of solidarity and support for OXFAM in the face of the relentless onslaught of criticism – both fair and foul. OXGAM GB’s current Council Chair Caroline Thomson, CEO Mark Goldring and OXFAM International CEO Winnie Byanyima have given many interviews and testimonials to the media and the British Government authorities, including the Charity Commission, in the past week responding to the queries and concerns. Although most of today’s Trustees and senior management were not there in 2010-12, I can assure you that all current Trustees and senior management of Oxfam are taking the matter extremely seriously and sincerely. OXFAM leadership has publicly apologized for the serious lapses in its handling of the reported misconduct cases and taken many proactive steps to rectify the situation. The Deputy CEO of Oxfam GB who was International Program Director at the time of the Haiti scandal – a very decent person and competent professional – has resigned taking responsibility for lapses in her watchdog functions at the time. 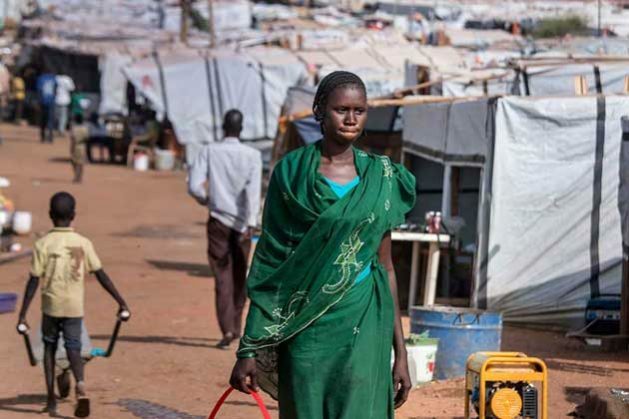 •	Work with other organizations across the humanitarian and development sector to prevent such abuses from happening again, including efforts to reform recruitment and vetting processes to prevent offenders from moving between organisations. OXFAM has made these commitments to the Charity Commission, to the British Government and to its supporters and critics, including the media. It has received many expressions of support and solidarity from its partners and the general public. “Today, Oxfam is the target of universal condemnation for having, allegedly, hired staff who were sexually abusive, and then covered up these wrongdoings. But the reality is that, far from being the worst, Oxfam is today one of the best international aid agencies in terms of reporting, investigating and addressing sexual harassment, exploitation and abuse of its staff”. “There’s a simple reason why aid agencies—like companies, or governments—that have the best reporting procedures for sexual offenses have the highest reported rates of these crimes. If a victim of a crime has no confidence that her report will be taken seriously, discussed sensitively and in confidence, and acted upon, she will simply remain quiet. That’s why (for example) Sweden and Canada have higher rates of recorded sexual violence than South Sudan or Libya”. “Oxfam may momentarily appear the worst—but that’s partly because it has been the best in addressing the challenge of sexual exploitation and abuse”. As mentioned earlier, and reported to the British authorities, OXFAM has taken additional steps to further strengthen its safeguard policies on sexual abuse and other misconduct. However, obviously these policies and practices are not foolproof and warrant constant vigilance. Unfortunately, the media attention has continued to focus on the negative and sensational stories rather than putting OXFAM’s long and illustrious record of humanitarian and development work and its sincere commitment for corrective action in a balanced perspective. I am personally convinced that OXFAM is being highly responsible, humble and sincere in its response to the current crisis. Outside the glare of sensational media, the overwhelming majority of messages that I and other Trustees have received have been those of strong solidarity and support for OXFAM and anguish about how it is being unfairly attacked in a sensational manner despite its public apology and profound corrective actions. We all welcome the heightened sensitivity and increased vigilance against sexual abuse and other unethical practices in international development cooperation, as in national and local institutions. But in the case of the UK at present, some right-wing media tabloids and officials seem to be using the scandal to undermine UK’s commitment to international development and support for NGOs, charities and the UN system in general and its commitment to allocating 0.7 percent of GNI as ODA. This is very unfortunate and insincere. Given the recent rise of anti-immigrant, anti-charity, anti-multilateralist trends in the US, UK and several other European countries, it behooves those committed to progressive development agenda to be watchful that the legitimate concerns about unethical conduct and corruption in the development aid and charity sector are not used as an excuse for rolling back and recoiling from our commitment and activism in support of global solidarity for humanitarian and sustainable development agenda. It is my humble opinion that OXFAM deserves solidarity and support in this hour of great distress as it is striving to further strengthen its safeguarding policies and practices that I believe can be an example for others.